Today’s WINNING recipe to meet Coach JC’s 10 WINNING Habits is Blender Banana Oatmeal Muffins. Where is my lean protein? Have I earned my starchy carbs? 1. Preheat oven to 400 degrees. 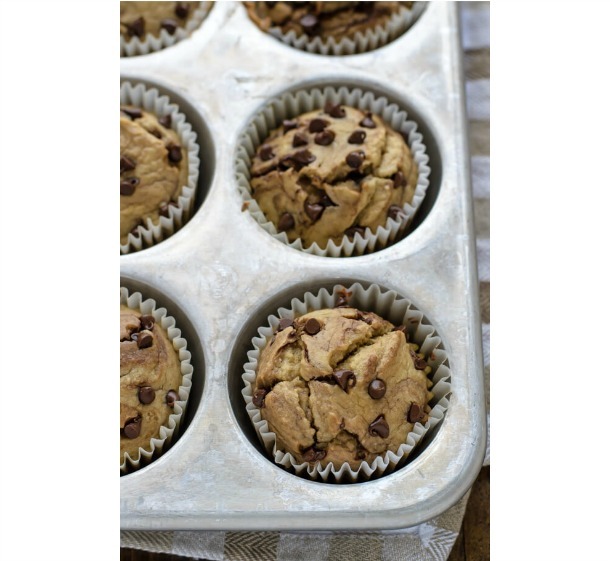 Lightly grease a 12 cup standard muffin tin or use paper liners. 2. Place all the ingredients but the mix-ins in a blender. Blend on high, stopping to scrape down and stir the ingredients once or twice as needed until the batter is smooth and the oats have broken down almost completely, about 3 minutes. By hand, stir in the mix-ins. 3. Divide the batter among the prepared muffin cups, filling each no more than 3/4 of the way to the top. Sprinkle with additional chocolate chips or nuts as desired. Bake for 15 minutes, until the tops of the muffins are set and toothpick inserted in the center comes out clean.